I'm not the girl with a thousand different shoes and purses. In fact, I pride myself on the fact the I only use one bag at a time. I usually buy myself a bag, wear it out for three years straight, throw it in a dumpster, and then start fresh with a new bag. I can't be bothered to switch things in and out of new purses to coordinate with every outfit in my closet on a daily, weekly, or even monthly basis. Whenever I get a bag, I need it to be big enough to fit everything that I'll need for the kids, all the things that I need for myself, and starting next month, all the stuff I'll need for school too. For the last several months I've been exclusively using a diaper bag backpack, and I've loved being able to throw my wallet, keys, and things for the kids inside of it, and then strapping it to my back and being hands free to carry Em from one place to another, and just be a little bit more mobile without worrying about a bag slumping down my shoulder every three minutes. Since I'm starting my last year of college in a few weeks (insert all the party emojis and fist bumps here), I wanted to get a bag that would work with the kids, but also be able to protect my computer at the same time. 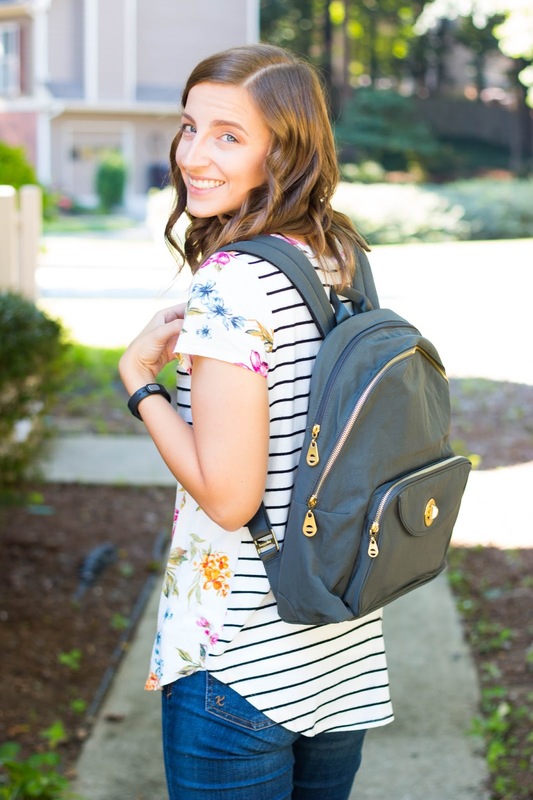 I fell in love with the Baggallini collection at Zappos, and knew the second that I saw the Gold Brussels Laptop Backpack that it had to be mine. 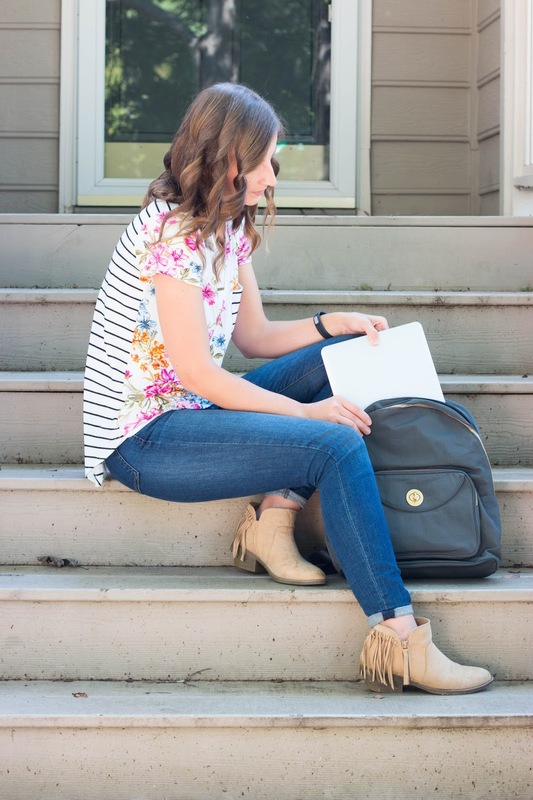 I love that it perfectly fits and protects everything I need, and that it's the perfect bag for the everyday traveler. 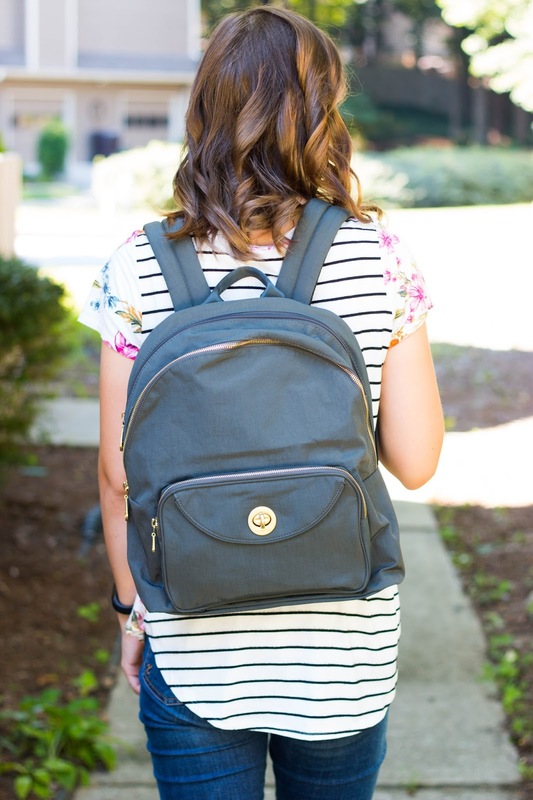 If the traditional backpack isn't for you, Baggallini has a massive variety of bags on Zappos.com There is something for everyone's preference of color, size, and function. I love Zappos because of their free two-day shipping and easy returns. That and they're partnered with Amazon which means I only need one account to shop at both places, which is one of the many ways that Baggallini and Zappos are are the perfect combo for life's journey. I need a bag like this! Amazing how cute it is! Gorgeous!